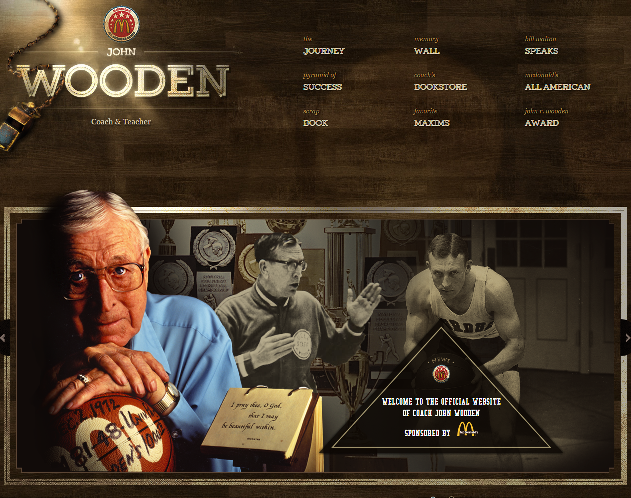 The Journey – profile on Coach’s incredible achievements, and interactive timeline. 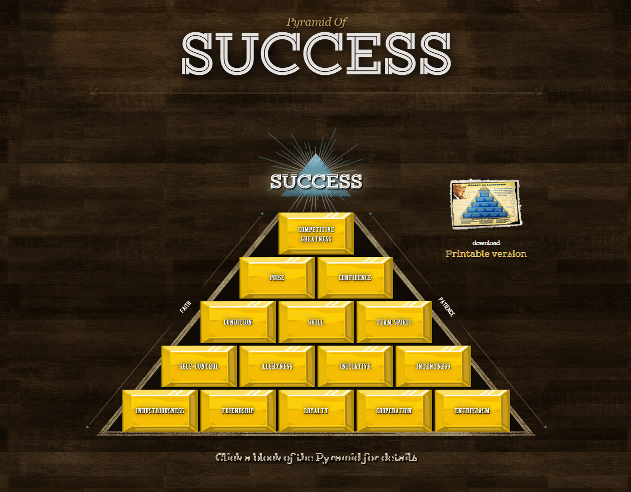 Pyramid of Success – section dedicated to Coach’s ultimate learning tool, with highlights from each block. Scrapbook – photo album starting with 43 memorable images from Coach’s life. 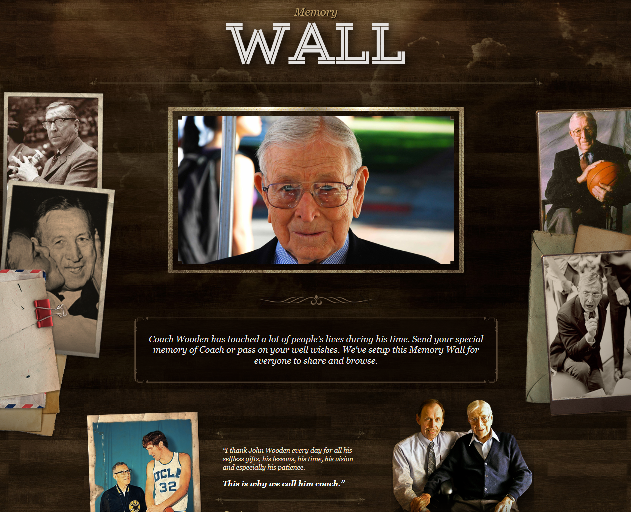 Memory Wall – outlet for fans to share a memory or a thank you to Coach. 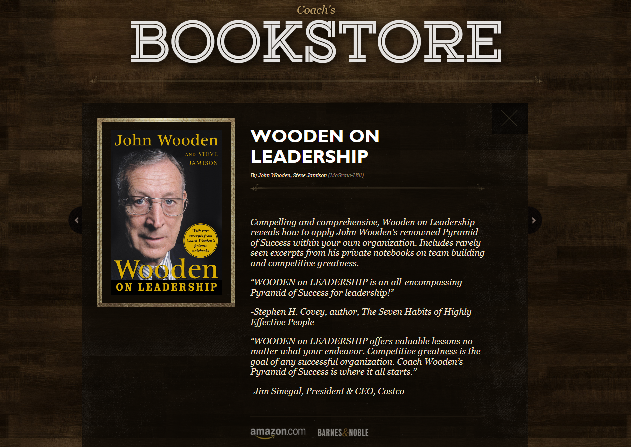 Bookstore – profiles on Coach’s bestselling books. 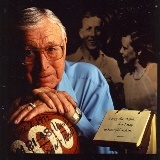 Favorite Maxims – video section with timeless messages from Coach. 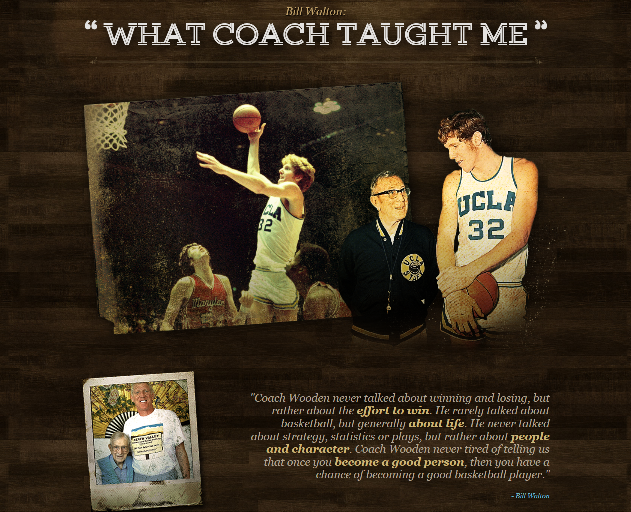 Bill Walton Speaks – tribute from one of Coach’s most memorable players – Bill Walton. 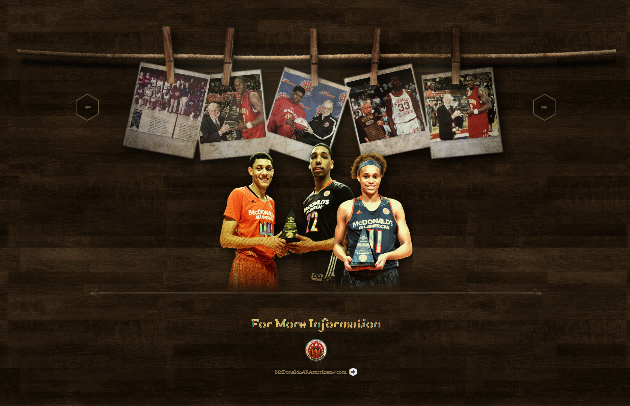 McDonald’s AA Game – profile on the high school all-star game that mention so much to Coach. 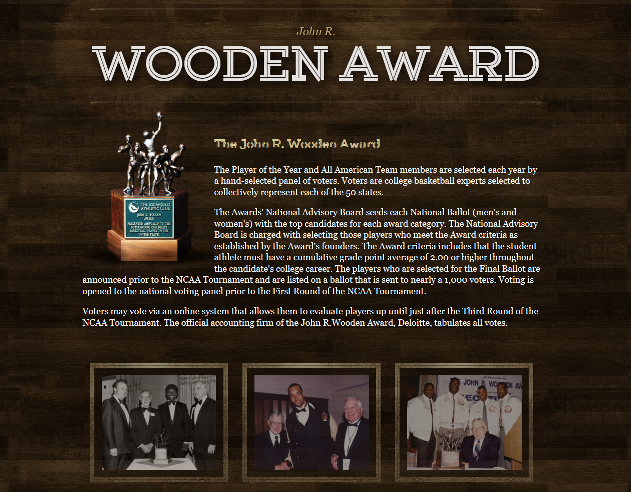 John R. Wooden Award – profile on prestigious award give each year to the best male & female college player.